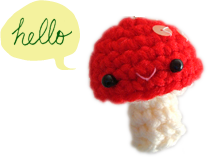 Meet Moshi! 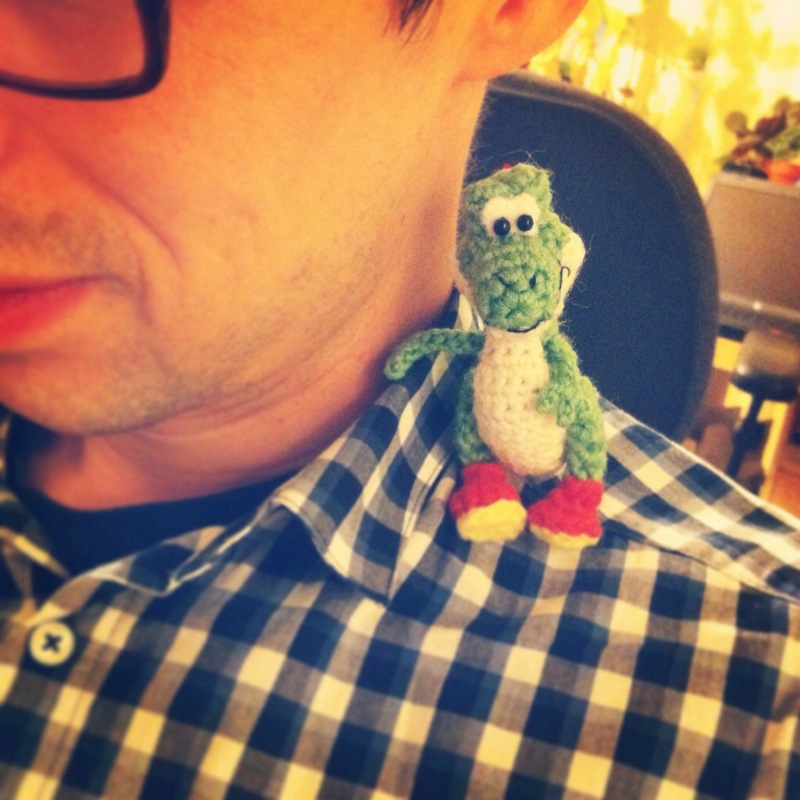 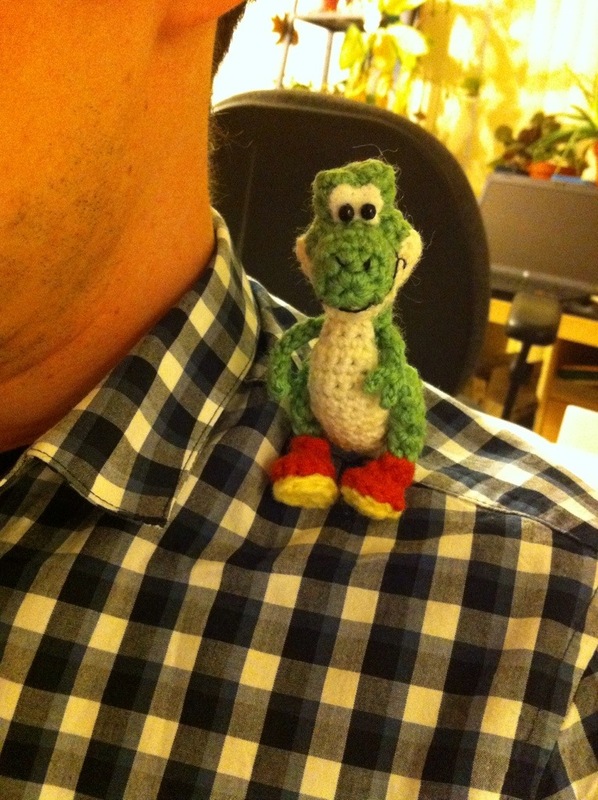 The pocket‐sized and slightly elongated cousin of Yoshi. 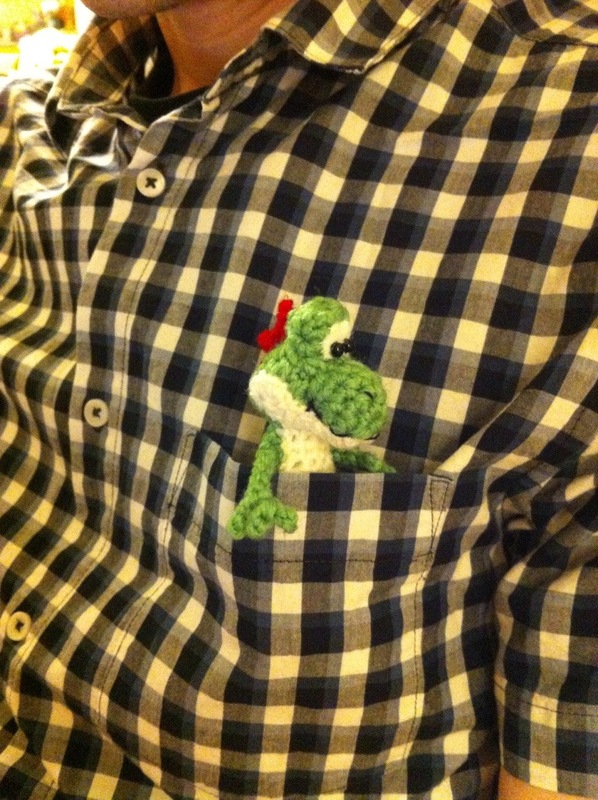 Here’s a closer look at him :D he’s made free‐form crochet style. 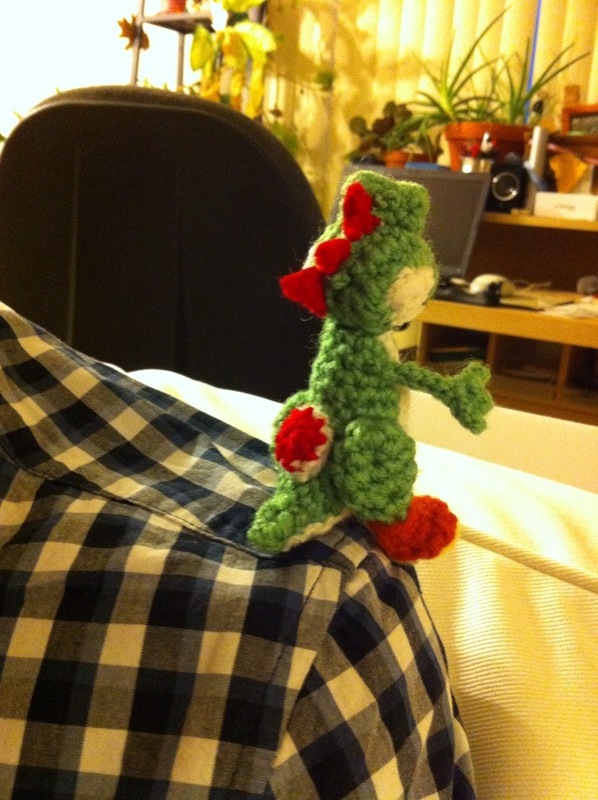 Like I said, he turned out slightly elongated compared to Yoshi, and his backside look a bit strange… but he does have his spikes, and saddle, and orange boots with yellow soles.